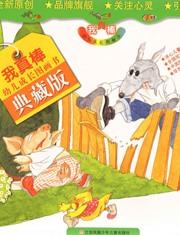 This is an original illustration collection for child education. Focusing on teaching children emotional intelligence, the collection contains 20 vivid and funny tales to help children form a healthy personality. Created by a group of famed Chinese writers, illustrators and education experts, I'm Great is a winner of the Bingxin Children's Book Prize and National Excellent Children's Book Award. • The traditional Chinese version issued in Hong Kong has been reprinted several times and twice renewed the copyright contract. Author: Ye Zhaoyan, Huang Beijia, Liu Jianping, Qi Zhi et al.